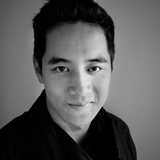 Nathan Su is a designer and storyteller, working through speculation, architecture and film to imagine futures from the scale of the home to the city. He graduated from the Architectural Association in 2017, receiving Diploma Honours for his project "Through Leviathan's Eyes". His short film "The Atlas of False Desires" was awarded Best Short Film at Sci-Fi-London film festival 2017. He has also collaborated on several competition entries, including "Aisha's Asylum" – an illustrated short story that was awarded an honourable mention in Blank Space's 2017 Fairytales competition, and "Vital Networks" – a global system of telemedicine that was awarded second place in the 2015 Advancing Development Goals Geneva Challenge. Nathan completed the Bachelor of Environments at Melbourne University, graduating with the University Medal. He then worked for two years at Melbourne architecture firm McBride Charles Ryan, before completing his studies at the AA. He was a 2016 recipient of the RIBA Wren Association Scholarship and his Part I project "The Augurs of Slave Island" was awarded the Grand Prize at the D3 Unbuilt Visions competition.